I never thought I'd be writing a post about a car. When I sold my software company in Montreal to a multinational, they leased me a new BMW 525. It was a great car. But within a year, my new employer decided to consolidate its development centers, and I was given the choice of moving to London, England or Dallas, Texas. I checked the weather and learned that Dallas was the windiest inland city in North America (no kidding), so off to Dallas it was. The only problem was that I could not take my Canadian-leased car to the US. 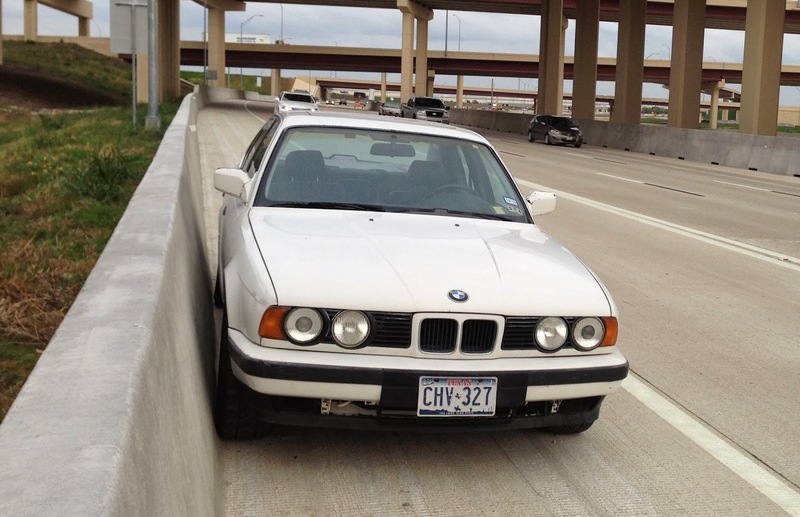 So when I got to Dallas, I started looking for another car. Perhaps the most famous car dealership in the US (or world) was Sewell Village Cadillac and I remember seeing it on 60 Minutes and also reading about it in Customers For Life. And yes, they were based in Dallas. I was not interested in a Cadillac but rather a Lexus which was just being introduced. And the story was that Sewell was made the exclusive dealer in Dallas in return for Lexus being permitted to copy Sewell's outstanding business model for the new Lexus dealer network. So, off to the brand new Sewell Lexus showroom it was. But a test drive of the Lexus was a disappointment because it felt just like a $45,000 Camry. So there I was standing in the front lawn talking with a salesman who was trying hard to not lose the sale. So, what were you driving in Canada? Thinking a bigger engine would be better, I said a 535. Thinking about the hot Dallas summers, I said white. Sort of like the car behind you? I turned around and there it was, a slightly-used white, manual, 535. It was lined up with a dozed other slightly-used BMW's, Mercedes, and Porches. You see, Sewell bought these used cars and placed them in front of its Lexus dealership to create the impression that people had traded in these cars to buy a new Lexus. Very clever. Would you like to take it for a drive? Drove it off, loved it, and never took it back. After paying $28,000 in cash, my next step was finding a place that installed trailer hitches on BMW's. People kept telling me that it could not be done. I finally found a shop, had it installed, and for the next 22 years put on 277,000 miles going to more than a thousand local, district, and national events. It was quite simply the best car I had ever owned or driven. But the inevitable happened this week. The water pump finally failed, I did damage to the engine, and it had to be towed to a repair shop. On the way, the AAA driver said something amazing. We don't see old 5-series very often. No, old ones. It's the new ones that have lots of problems. The old ones we don't hardly see. It turns out that the repair will cost more than the car is worth, so there's one last part to this story. I've donated my car to the Make-A-Wish folks so that whatever value is left in it goes towards making a child's dream come true. It's a perfect ending for a great regatta car. Pam's Version - Farewell POS! I tried everything I could think of to kill that dang car. It just ran and ran and ran. Looked like crap with half the windows unable to raise all the way up so that they had to be taped with clear packaging tape to close the gap. The interior was disintegrating and that picture above with all the lights ... every time I drove it almost all of those lights (with bells mind you) would just randomly go off all the way down the road. It was like Christmas and Vegas all rolled into one. It was peppy and could move. I'll give it that. And it was heavy and all beat up so I had no worries about people giving me a wide berth when I went speeding by. Good thing too because once it got up over 65 mph the steering had so much play that it didn't even seem to be responding to me. 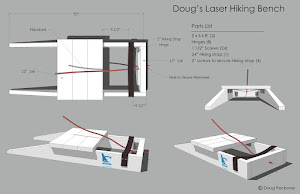 I remember overhearing a conversation a couple of years ago from a 30+ year old Laser sailor who said when he was just a kid and met Doug for the first time, he remembered Doug arriving at the regatta driving a BMW towing a Kitty Hawk trailer with his Laser. He remarked about how 'cool' that was and how he decided right then he wanted to be like that when he grew up. Then he asked whatever happened to that car and Doug pointed to the parking lot. It was still kinda cool, in an old man, masters sort of way. Doug steps out of his fossil of a car, hits the race course on his Laser, and lots of the younger kids are still trying to keep up with him. The older he gets, the cooler THAT is ... he doesn't need the car anymore! Great post. 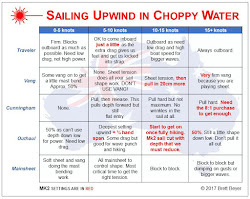 I've been thinking recently about what to buy for my next regatta car. Now I know! I've had a good run of luck with an '02 Volvo v70 wagon. Nice long, low roof line--ideal for car topping. Pity Volvo has decided not to make them anymore. I hate the extra foot of vertical rise required to roof rack a hull onto the typical SUV, not to mention the horrible fuel costs. For a large automobile, my v70 does well in that department as well. Totally agree George. We had a series of Volvo station wagons for many years and they were perfect for cartopping. I too had a Volvo station wagon in Canada. It was back in the 80's when they had a serious rusting problem. The joke was they were the world's first biodegradable car. A lot of cars rusted like that back before auto makers learned how to make paint stick to galvanized steel. Now most cars look great with 200K on the clock. The mechanicals may be all clapped out, but the cars look great body wise. Another thing I look for in a regatta car is interior room. 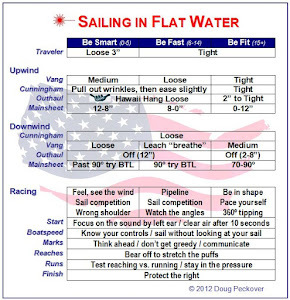 Gear like dagger boards, sails in sausage sleeves, tool boxes, duffel bags, extra tie down stuff, etc. take up space. If I'm not towing a trailer with multiple boats (as when I roof rack just a single boat) I also like to break down my Seitech trolly and stow it inside the wagon. This reduces windage (improves fuel econ) and also keeps the trolly from banging into the hull if/when the car goes over a pot hole at speed but does so at the expense of interior storage space. Sometimes after packing the wagon I wonder if there'll be room for diaristwoman and all her gear! Great post. It's one reason I have a Camry. It's a lot like a Lexus but costs less. Got a hitch basically so I could put my bike on it, but works to pull a trailer too - but I rarely do that. Had a BMW before but it was maybe a 318. Too expensive to fix and it rusted round the windshield and did not look good!